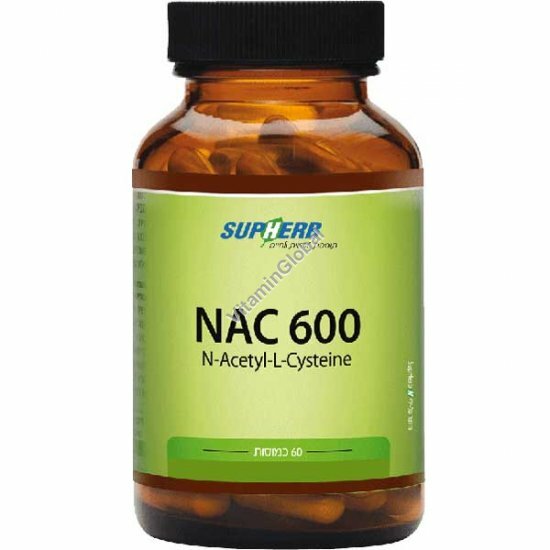 N-Acetyl-L-Cysteine has many benefits and functions, the most prominent of which is its ability to reduce phlegm in the respiratory tracts. NAC can be used for chronic bronchitis and cystic fibrosis. As a powerful anti-oxidant, NAC is vital for smokers who are prone to accumulating phlegm and free radicals in the lungs. NAC also protects the liver from exposure to chemical toxins and is used in hospitals as treatment for Acamol toxicity. It can be combined with toxic cleansing of the liver and with the treatment of diseases, such as: Hepatitis, medications toxicity, heavy metals, pesticides and environmental pollution agents. Instructions: Take 1-2 capsules per day, half an hour before a meal.